Chandigarh : Farewell party was organized by the PG Department of Computer Applications of Post Graduate Govt. College for Girls, Sec-42, Chandigarh for the outgoing batch of M.Sc (IT), PGDCA and BCA in the college auditorium “Sabras”. The students presented a colorful cultural programme to entertain the audience. Fashion show and modelling by the outgoing batches was the highlight of the day. The Divas looked fabulous in formal Indian and Western Outfits. 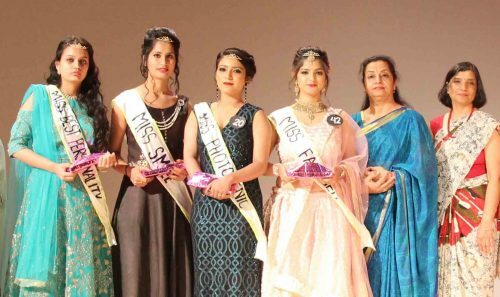 Principal of the college, Prof. Binu Dogra crowned Miss Farewell Anita, Miss Best Personality Shweta, and Miss. Photogenic Priyanka and Miss. Smile Neha. She showered her blessings and encouraged all the students a very bright future and success in all endeavors in life. On the whole, it was a fun filled event enjoyed by all. Prof. Punam Agarwal, Head of the Department presented a vote of thanks on the occasion.